This painting was created after a lovely trip to Costa Rica. My mind was filled with images of the colorful plants and animals of this amazing country. I couldn't wait to get home and start putting paint to paper to create externally what was going on internally. 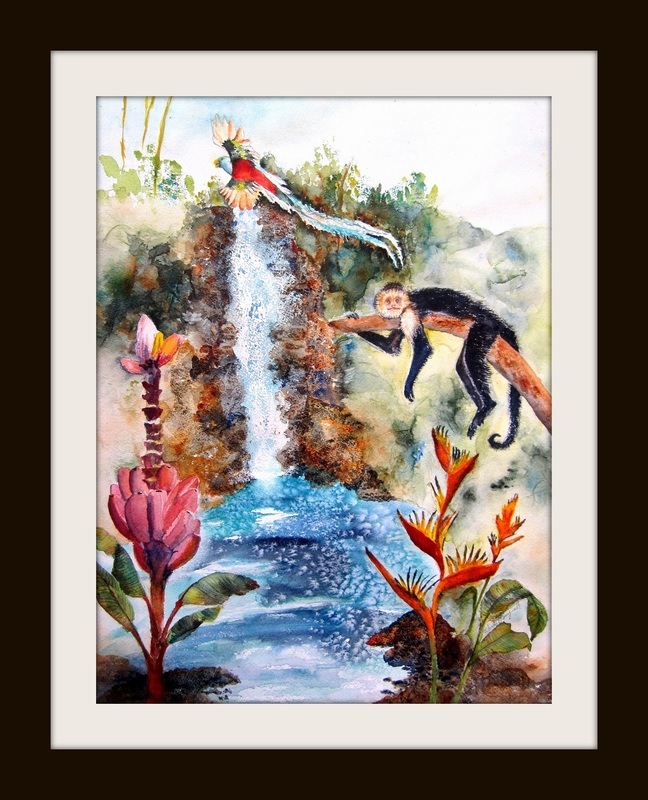 This painting depicts a capuchin monkey, and the beautiful Quetzal bird in all her glory. Medium: Watercolor on high quality Arches Paper. Size: Painting only: 12" by 16"